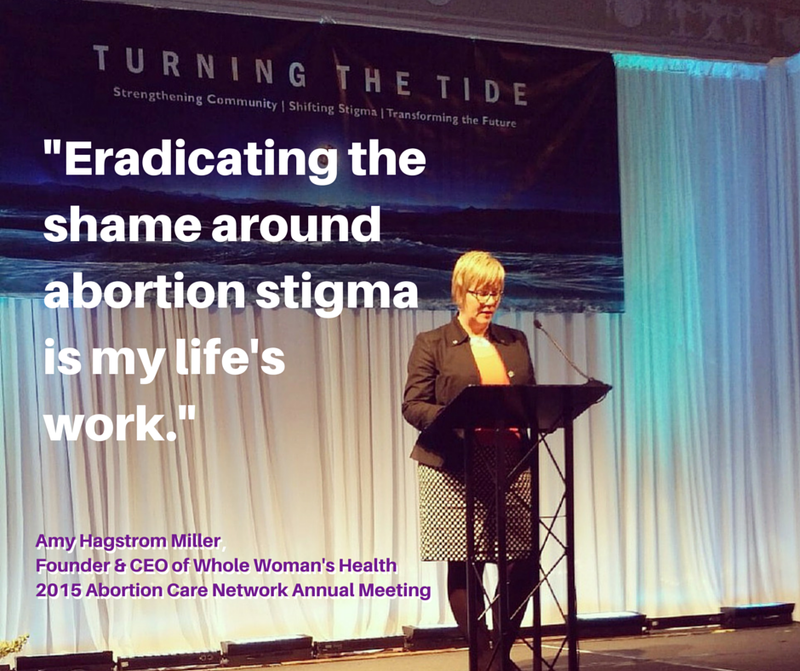 These last few days Whole Woman’s Health has been at the Abortion Care Network’s Annual Meeting – an inspiring conference of the nation’s independent providers and our allies within the activist, art, legislative, faith, and journalist communities. “Speak up and out, do not let anti-abortion rhetoric go unchallenged. Do not allow our opposition to hijack the moral high ground. I’d like a world where no person comes into my clinics thinking they are the only person they know who has had an abortion. Thinking they are the only Christian that has had an abortion. Thinking they are the only good parent who has had an abortion. Whole Woman’s Health clinics offer an oasis from the stigma and shame surrounding abortion in our culture, from the voices and judgments of others that often make it difficult to sit quietly and contemplate a big decision. In our clinics we have a moment to affirm that people are good, to affirm that people are moral and kind, and to affirm that they are not selfish. We can witness their dreams and their aspirations and affirm that they are put on this Earth to see them out and to act on their own gifts. Let’s make sure all people hear these messages both inside and outside our clinic doors.